The ever-growing importance of IT and computing to business success has seen the role of Chief Information Officer (CIO) become crucial to the growth and success of organisations. Not too long ago, the CIO was often regarded as simply responsible for keeping IT projects on time and on budget, but today the role has evolved to have an active involvement in all business areas that can benefit from technological investment. Be it remote working initiatives, digital strategies or recruitment, organisations now look to their CIOs to provide guidance on how to support business growth through technology. 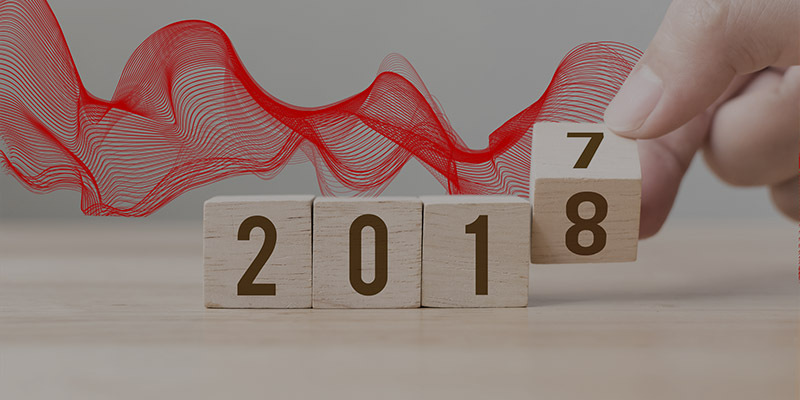 With long-anticipated technologies such as 5G and machine learning now coming to the fore, 2018 could arguably be the most crucial year for CIOs to date. With this is mind, here are the top trends for CIOs to keep an eye on over the coming year. A continually connected workforce is now a key feature of most organisations. The importance of accessing key business information on mobile devices, paired with the huge demand for flexible working initiatives, led to the “Bring Your Own Device” (BYOD) workplace trend taking root across many businesses. But today, with the constant threat of security breaches, the need to secure personal devices from external threats is now a pressing concern for CIOs, particularly as these devices often contain sensitive business information. 2018 may begin to see businesses adopt a hybrid approach to their mobile strategies – enabling employee flexibility, but also ensuring security with business-owned devices – rather than promoting a BYOD approach. In highly regulated industries, such as finance and healthcare, we’re already seeing such strategies in place. Juggling the need to adopt new applications and devices with cybersecurity fears is a significant concern for businesses. Subsequently, businesses will prioritise the need to invest in network infrastructure solutions that can meet the demands of the organisation in a flexible, yet secure, way. Software defined networks (SDN) present a compelling solution to this issue. Many enterprise customers are already preparing for SDN, but some are struggling to see how they can combine the technology with hybrid IT environments. As a result, businesses will soon turn to global providers of dedicated internet services, or providers that can integrate multiple ISPs under a common service route, to enable SDN opportunities. Adopters of IoT are already certain that the technology is crucial to the success of their business operations. It is therefore no great surprise that these businesses are leaders when it comes to digital transformation initiatives – according to Vodafone’s most recent IoT Barometer, 74 per cent of companies that have adopted IoT agree that digital transformation is impossible without it. In 2018, the businesses that invest in IoT solutions will pull even further clear of competitors in the race to enhance digital capabilities. 5G will have a huge impact on businesses by providing more bandwidth, among other benefits, which will, in turn, enable far more applications to be made available. Enterprises must react now by taking the necessary steps to ensure that they can use this technology effectively and as soon as it is available. This process will involve implementing strong mobility and application strategies, as well as ensuring that cyber security best practices are upheld. Attracting and keeping the top talent is one of the biggest challenges that businesses face now, and it will only continue to become more difficult in the years to come. But when looking to show that your business is a forward-thinking and innovative place to work, technology is now seen as the ultimate asset. To meet evolving employee demands, businesses will have to create a truly digital working environment, where employees can access the same technologies at work as they do in their personal lives. An even further challenge will then be how businesses can permit employees to work with consumer grade IT devices and platforms, while also maintaining the security and quality of service that comes with enterprise-grade technology. As a result, the CIO, alongside the chief digital officer (CDO) and the chief transformation officer (CTO), will become more influential in determining how technology can be used to differentiate your organisation from the rest when it comes to recruitment. To achieve this, it will become essential for organisations to ensure their internal ecosystems allow CIO, the CDO and the CTO to work closer with HR. AI and machine learning were major talking points in 2017, and this will resume in 2018. New and innovative applications of these technologies will continue to appear, and these may even carry over into the network solutions space. For example, AI and machine learning may be applied to make internet routing protocols and security algorithms more efficient, which could significantly enhance the functionality of these processes across an entire business. Fuelled by advances in technology, 2018 will see significant changes in how businesses are able to operate, across various processes and areas. It is therefore crucial that CIOs begin preparations for the new opportunities that will arise in the year ahead. Planning for tomorrow, today, will ensure that your organisation is ready for all that 2018 has to offer.